SkypeAnime allows you personalize your Skype avatars with animated GIF images. Because Skype doesn't natively support animated avatars, the program uses advanced methods - the program actually changes the Skype avatar to one frame of the selected GIF, over a period of time. 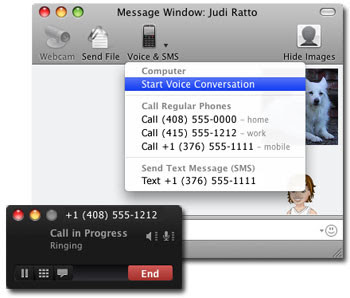 Adium is a free multi-protocol instant messaging client for Mac OS X. AdiumBook allows you search, manage and keep your contacts synchronized with your address book. AdiumBook comes with a simple intuitive interface: one single window. No preferences, no drawers, no tabs, no popup, no splash, no funky window resizing. * Add Adium contacts to Address Book. * Update card's information using Adium data. * Find an Adium contact in Address Book. 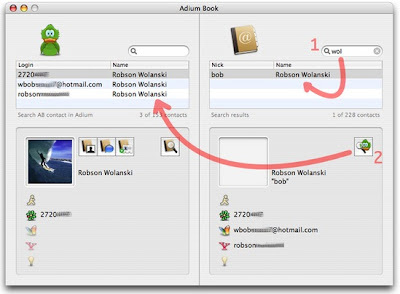 * Find an Address Book contact in Adium. * Full text search for both applications. * Listing of contacts grouped by IM service. * Contacts with no picture. * Contacts present in Adium but not in Address Book. * Contacts present in Address Book but not in Adium. Static-Online is a Messenger Plus! Live script that lets you to personalize your personal message with many different elements (such as the date, number of contacts in a status, time until a certain date, etc...) and save your personal message to use them when you want. This script also allows you to save a history of personal messages. To run the script, you can type /static in a conversation window, or pull down the Plus! Scripts menu and navigate to the Static-Online script. "Never give out your password or credit card number in an instant message conversation. To help prevent infection by a computer virus or worm, never accept or open any file or link in an instant message until you verify its authenticity with the sender. The first time I saw that warning message while trying to IM somebody, I thought to myself: "Awww how thoughtful of you Microsoft, looking out for me like that.." The second time it was more like "Yea man..I know". By the third time, I was looking desperately within the prefereences to turn that annoying message off..."
Messenger Plus! 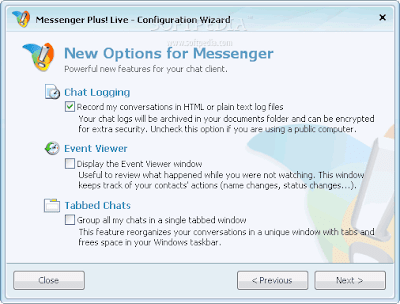 Live team released a new version of their popular plugin for Windows Live Messenger which adds lots of features and extras that make your instant messenger easier, more useful or just tons more entertaining. · You can now filter yourself out from event logging. · Mobile Device chat windows are now fully supported by Messenger Plus!. · Features like Quick Texts, commands, smart tags and previous message recall are now accessible the same way as they are in normal chat windows. · Logging is fully functional. · Mobile chat windows are now tabbed too. If you prefer keeping your mobile chats separated from one another, you can use the new TabMobileChatWnds registry setting. · If too many Plus! notification popups try to be displayed on screen, Messenger Plus! queues the extra windows to be displayed later, when possible (so that notifications aren't displayed out of screen). · WMA sounds can now be selected for event notifications. With Yahoo! Avatar Joiner you can join 2 avatars (a small avatar and a large avatar). All you need to do is to select the two images that you want to use. The result will be one image, but it will look different in Yahoo! Messenger at the contact list and at the instant message window. I wish I can tell it's an addon for ICQ, but it's not. 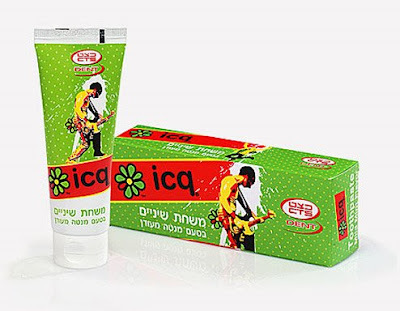 The Israeli software company that developed ICQ before it was purchased by AOL has just partnered with a big Israeli pharmacy company called CTS to release this toothpaste and branded it with "ICQ". Really funny, isn't it ? 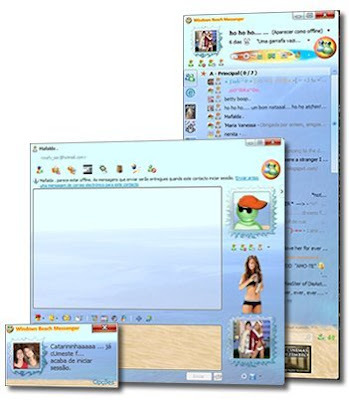 Users of Windows Live Messenger in France have a new Activity called Messenger TV. It brings Video to Windows Live Messenger. Messenger TV offers daily best videos of MSN Video France website. You can watch a video with your buddy at the same time. If you are in France you can start the Messenger TV from within the conversation window, just like you do any other activity or from the tab. If you do not have this activity (not in France/passport not set to France), you can start it from the Messenger TV Website by clicking on the video thumbnails or on the big yellow button with the text "Mate Messenger TV avec un pote" on it. If you are logged in on WLM the "Select a Contact" screen will appear so you can choose with whom you want to watch. Once your contact accepted, the activity will open. The activity is in French, but it's usage is really simple. You don't even need understand French to use it. The clips can be in any language, not just French. "Facebook has been testing a new instant messaging service and will be launching it to the public soon, perhaps in the next week. Our understanding is that the service will be built into user’s Facebook pages and allow them to web chat with their Facebook friends. We’ve also heard that, like Gtalk, it will be built on the Jabber open source platform, allowing users to add the service to many popular Instant messaging clients like Trillian (Windows) and Adium (Mac). I’d also expect web chat services like Meebo and eBuddy to add support for the service..."
Stuffplug team released a new version of their favorite addon. 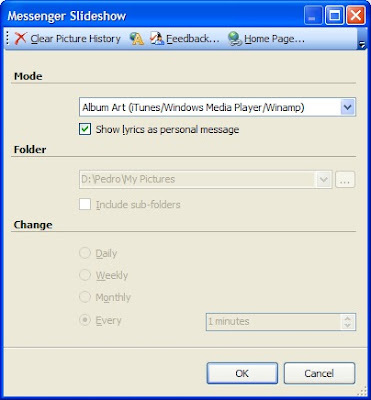 Stuffplug version 3.5 is now compatible with Windows Live Messenger 8.5 (not compatible with Windows Live Messenger 9 beta). * Non-finished features are now in a user-accessible "Experimental" menu. "Did you know that you can import contacts from your email address books in outlook, Outlook Express, MSN Hotmail, GMail and Yahoo!! All you have to do is open your main Skype window and click on tools. Choose “Import Contacts”. When you click there you will be shown a window with options of email accounts. Check the box next to the email accounts that you have, and Skype will search these address books for anyone who signed up for Skype from those email addresses. This will take a while as they check all your address books..."
Imo.im is a web based multi-protocol IM client. It's browser based and free. Now Imo team released a downloadable version of their IM client. 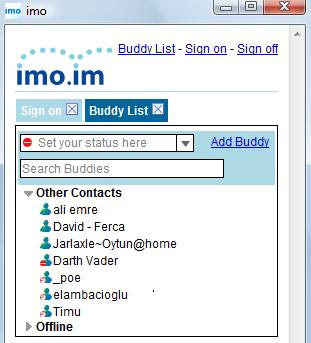 Imo.im for Windows allows you IM and video chat with friends on AIM, Google Talk, MSN, and Yahoo networks. This downloadable client lets you sign in automatically on startup and receive IM alerts when minimized. Note that the application requires the Microsoft .NET 2.0 Framework. If you don't have it, the installer will install it for you. It will take an extra 5 to 10 minutes. MessengerLog Pro allows you automatically log everything from Windows Messenger 4.x/5.x, MSN Messenger 6.x/7.x, and Windows Live Messenger, including instant messages, winks, emotion icons, hand writing, text font and colors, the online status of your contact, and all the activities like sent and received files, audio/video invitations in MSN/WLM Messenger. MessengerLog has the ability such as working in an absolutely hiding mode like a spy, auto upload logs by email or FTP, suitable for parent controls, managing log efficiently and safely with our strong search engine and advanced encrypt method, automatically online updating, data time stamp etc. Additionally, MessengerLog Pro has ten color themes and reading mode. · Multiple chat monitor engine, more powerful to record chat. · Support record chat on non-Administrator Windows users and multi-users accounts chat at same time. · Send chat log in rich text (RTF) format and encrypted and compressed in a single zip file. So you do not need install another MessengerLog to view the chat log send by email or FTP. · Compatible with Messenger Plus! 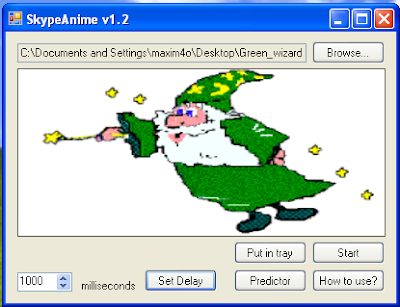 · Compatible with Windows Messenger! · Compatible with Windows Live Messenger! · Automatic upload chat log by email or FTP. Support Email authorization. Support specify special port for FTP and Email connection. 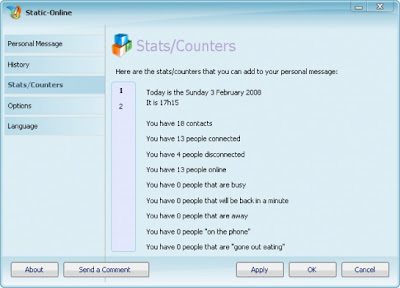 · Monitor MSN chat secretly, not need to run the main program. · Easy-to-use interface makes recording and monitoring simple. · Suitable for parent control and other monitoring purpose. · Suitable for your company to record custom supports which is provided via MSN messengers. · Accessing and setting are all password protected. · Save, search and edit log easily and efficiently. · Exporting the rich text messages to a RTF file easily. · Read messages for you. · Import logs from previous version of MessengerLog series. · FREE download and FREE to try for 30 days! · FREE lifetime technical support via email in English! 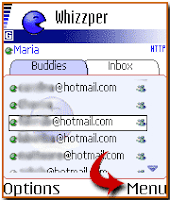 Whizzper is a mobile IM client for Java supporting mobiles. It supports MSN, AIM, Yahoo Messenger and Google Talk networks. Whizzper is free for the promotional trial period. You only pay for what it costs to navigate over the internet. You must have a phone capable of running Java mobile applications and using an Internet connection. Most phones made since 2001 fulfill these requirements. "AOL is pushing their two year old OpenAim initiative much further this morning with OpenAIM 2.0. There are three key changes of note. First they are now embracing services that they previously tried to stop - multiheaded clients and websites that allow users to access all of the major instant messaging platforms in one place. These are desktop services like Pidgin (open source), Adium (Mac) and Trillian (Windows). And web based services like Meebo and eBuddy. Today those services have to hack in to MSN, Yahoo and AOL services (Google Gtalk is open). Now AOL is giving them unfettered access, too..."
"China's top search engine, Baidu, announced plans to launch their own instant messenger (IM) called "Baidu Hi." Research and development for Baidu Hi has been underway for almost one year. Baidu is currently in the process of recruiting additional personnel for the team dedicated to developing the product. All elements of Baidu Hi, including product design, research and testing, will be handled independently by Baidu. Internal testing for this product is currently underway..."
Pidgin team released version 2.4.0 of their favorite multi-procotol instant messaging client. Pidgin is free software and it supports following networks : AIM, Bonjour, Gadu-Gadu, Google Talk, Groupwise, ICQ, IRC, MSN, MySpaceIM, QQ, SILC, SIMPLE, Sametime, XMPP, Yahoo!, Zephyr. o Fixed various problems with loss of status messages when going or returning from idle on MySpaceIM. o Support for /notice on IRC. o Recently signed on (or off) buddies blink in the buddy list. o The 'Grouping' plugin can be used for alternate grouping in the buddylist. The current options are 'Group Online/Offline' and 'No Group'. Brando's USB Mini Web Cam is designed for notebooks. You can bring it everywhere as it is portable. It has a flexible neck that can be aimed in any direction depending on what you want the person on the other end of the conversation to see. 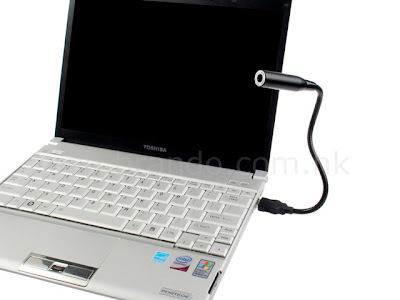 USB Mini WebCam doesn't require any drivers to be installed when used under Windows XP/Vista and it's compatible with ICQ, WLM, Skype and other IM clients.